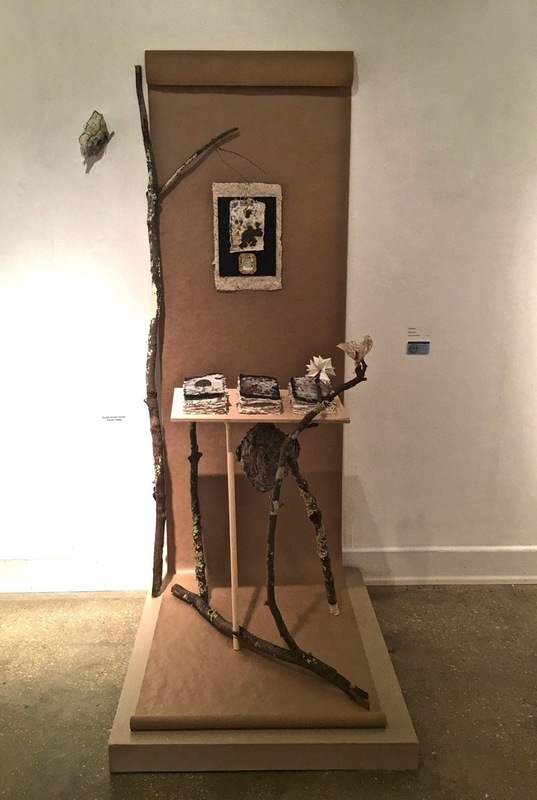 Mixed media installation with handmade papers and hornet nest. "Library stand" is made from milled wood and raw branches. Stacks of handmade papers have embedded plant materials, seeds, milkweed fluff, etc.